Your initial approach to your Marriott’s Manor Club timeshare at Ford Colony may take you back in time but its modern amenities will let you know that you’re just experiencing a timeshare resale that has captured the essence of its location near Colonial Williamsburg, Virginia. Steeped in history that dates back to early beginnings of the United States, Williamsburg, Virginia is a historian’s dream. Marriott’s Manor Club timeshare resort takes full advantage of its setting and incorporates the colonial architecture and historical textures into an ambiance that will make you feel welcome and right at home. One of the gems in the Marriott Vacation Club, Marriott’s Manor Club timeshare resort offers well appointed one- and two-bedroom villas located in the heart of Ford’s Colony, a master planned residential and golf community just minutes away from center of historic Colonial Williamsburg. For those who buy a Marriott’s Manor Club timeshare resale, they will be buying a fractional ownership in a resort located in a very tranquil setting. Yet Marriott’s Manor Club timeshares are not too far from all the attractions, shopping, and leisure activities that one can desire. With tastefully decorated one and two bedroom units that have décor reflecting Colonial Williamsburg’s heritage, the luxurious accommodations at Marriott’s Manor Club timeshares include an oversized whirlpool tub in the master bedroom and Marriott’s signature bedding. The living room features a fireplace, sleeper sofa, and flat screen television. You will be pleased at the attention to detail in the furnishings and color schemes in each villa. The private screened-in balcony of each unit overlooks the gardens found on the resort property or one of the fairways at the Ford Colony Golf Course. The kitchens in each Marriott’s Manor Club timeshare villa comes fully equipped with the cookware, flatware, microwave oven, and conventional oven. Wireless Internet is available in the rooms and in the hotel reception area. On site at Marriott’s Manor Club timeshares, there is the Spa at Manor Club that offers massages, manicures, facial treatments and steam room. In addition to the spa, there are two heated pools and a fitness center. Golf is available at the Ford Colony Country Club which also offers rentals, lessons, and a driving range. If you choose to dine out, Harry’s Tavern at the Ford’s Colony Country Club is available for lunch is just a few minutes away from your Marriott timeshare. Other wonderful restaurants are available in the Williamsburg area. In the Williamsburg, Virginia area are a number of attractions that you can spend the day enjoying while staying at your Marriott’s Manor Club timeshare resale. In addition to Williamsburg, the Jamestown and Yorktown historic sites are less than 20 minutes away from your Manor Club Villa. Marriott’s Manor Club at Ford Colony is an ideal place to bring a family for vacation. In addition to touring the historic towns of Williamsburg, Jamestown, and Yorktown, your family will enjoy spending the day at the Busch Gardens amusement park which is located near Williamsburg. Virginia Beach is less than an hour’s drive away from the resort. The capital city of Richmond is also within an hour’s drive and has historic sites, shopping, restaurants, and other attractions. If you are looking to buy a timeshare resale Marriott’s Manor Club timeshare, you may be one of the ones fortunate to find a good deal. The relaxing and inviting lifestyle available at the resort is exactly what you will find at Ford’s Colony and in the Williamsburg, Virginia area. The wooded area that encompasses the rolling hills in the countryside provides the ideal location for a Marriott Vacation Club resort. 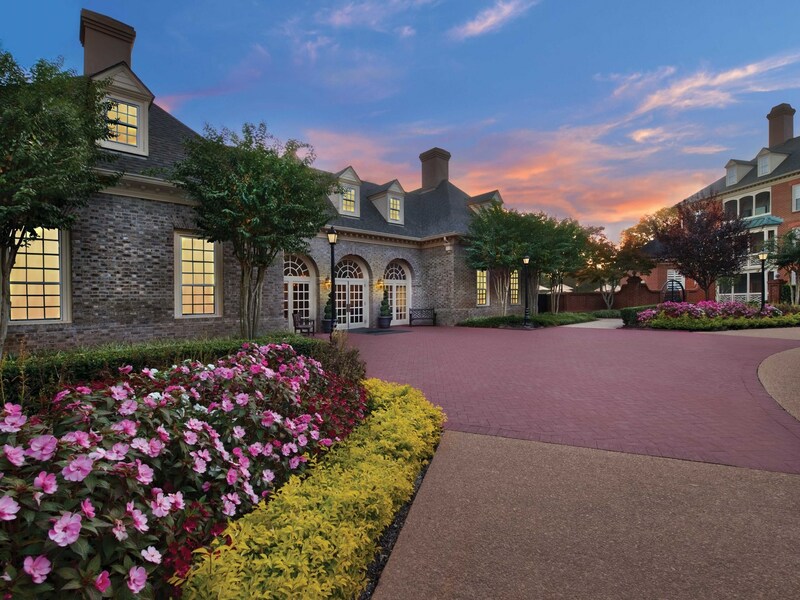 The cobblestone drive, brick exterior, and 18th century architecture will make those who don’t own a timeshare seek one of the Marriott’s Manor Club timeshare deals that are available. Your stay at Marriott’s Manor Club will be an experience that you will long remember. You will never want to sell your Marriott's Manor Club! If you find Marriott's Manor Club timeshare for sale, you should not hesitate in buying a piece of a dream vacation resort. The experienced brokers at Premier Timeshare Resale can help you find the perfect timeshare deal.